As residents and holiday makers from the rest of Europe will all testify there is nowhere better in Europe than the Algarve in summer! Miles of golden beaches and a warm inviting sea, empty Championship golf courses, stunning walks though the nature reserves, busy restaurants serving the very best and freshest fish washed down with a chilled glass of local white wine and of course the glorious daily sunshine. By investing in a property in the Algarve, this could be your daily routine.....but with a potential Brexit looming is it the right time to be buying a property? Algarve property prices since the end of 2008 had been continually realigning themselves but since early 2014 they settled at what is deemed to be much more accurate and realistic values. It is no secret that the prices reduced by approximately 30 - 40 % compared to the listing prices of 2008. The panic sales and the undervalued property sales that were prevalent up to about 2 years ago have been sold and as such the foundations for stability are re-established. Compared to leaving your money in the bank, the Algarve´s appeal as a good investment for property purchases is well founded. The healthier Euro countries are continuing to create a demand for Algarve properties that we haven’t seen for many years. The quantity of sales transactions has been consistently improving during the course of the last 2 years as the urge to buy property in Portugal grows. If the UK decide to leave the EU, no one can be sure of the long term ramifications but the important thing will be not to panic. The desire to live and holiday in the Algarve will be as strong in the coming months and years as it was in the previous years and opportunities in the Algarve property market will most definitely appear. 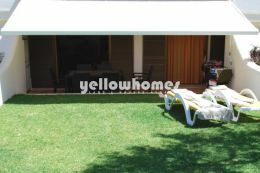 At Yellowhomes we continually list a cross section of properties ranging from opulent 6 bedroom villas to cosy 1 bedroom apartments and from traditional townhouses to contemporary penthouses. 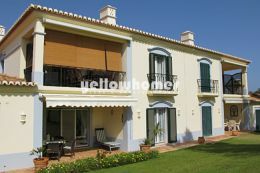 We urge you to browse our website at www.algarvepropertysearch.com to see our superb property selection. We recognise the importance of being able to offer prospective purchasers a concise yet perfectly matched selection of properties to suit all tastes and budgets. To that end, if you would prefer to make an appointment to visit our office and discuss your property requirements with a member of our team then please call us on 289 301 294. We look forward to hearing from you.